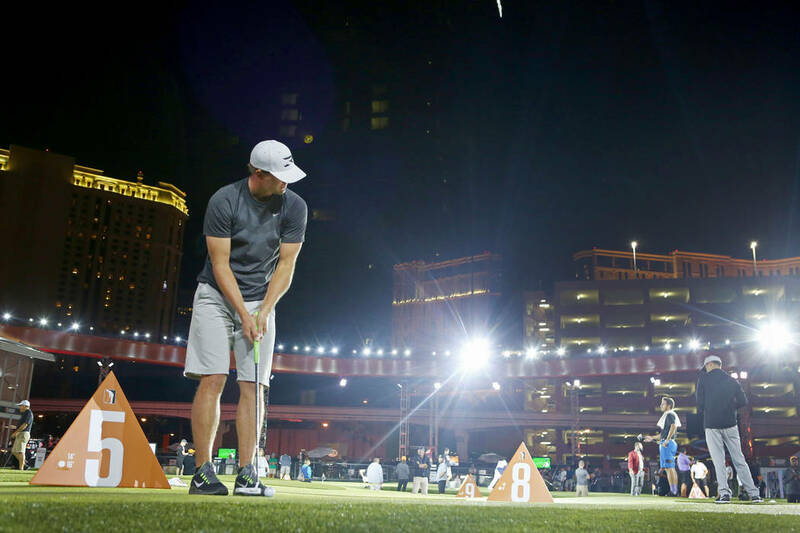 Last October and just a few months after turning professional, former UNLV men’s golfer Taylor Montgomery earned $75,000 for winning an event during the inaugural Major Series of Putting. 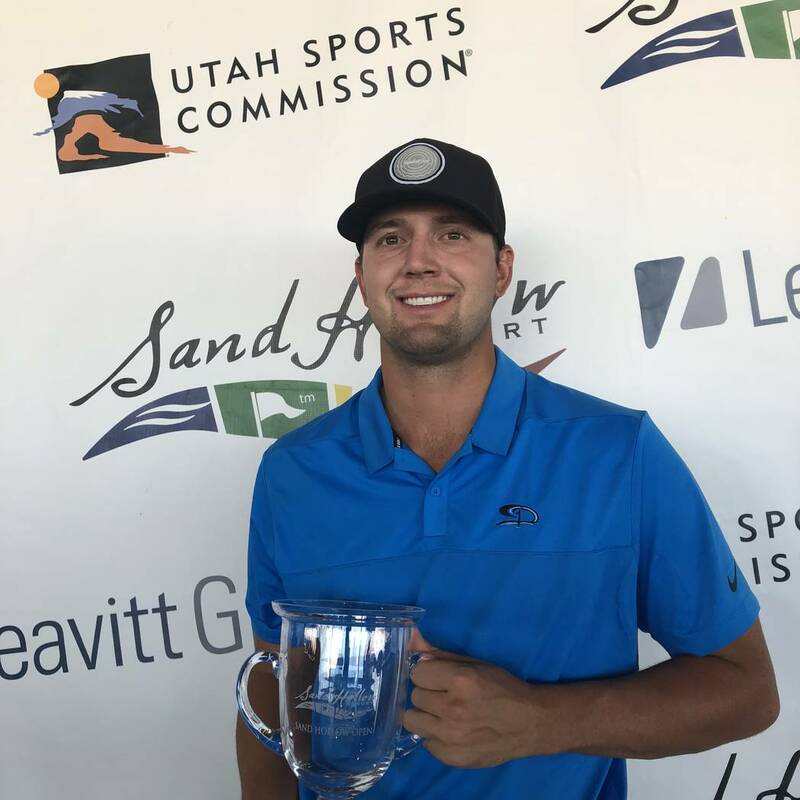 Former UNLV golfer Taylor Montgomery won the 2018 Sand Hollow Leavitt Group Open in Hurricane, Utah, and a spot in the 2019 Web.com Utah Championship. Last Saturday, Montgomery, 23, earned another sizeable check ($18,000) and a nice bonus when he birdied the first playoff hole to win the Sand Hollow Leavitt Group Open, a mini-tour event at Sand Hollow Resort in Hurricane, Utah. Montgomery was one of many players trying to use Sand Hollow as a stepping stone to the PGA Tour. 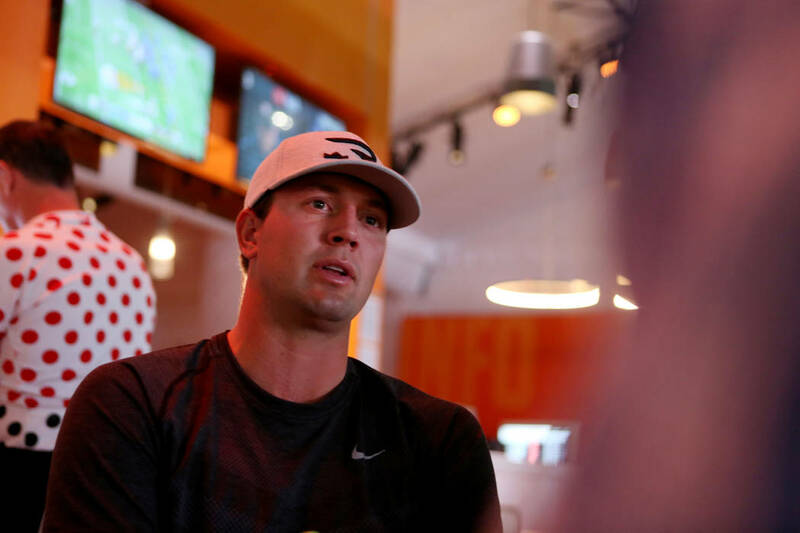 The money was nice, but an exemption into the 2019 Web.com Tour Utah Championship the winner received could prove to be more valuable. Success on the Web.com Tour is now the best path to the PGA tour for aspiring professionals. The first stage of the qualifying process started Tuesday for Montgomery at Ak-Chin Southern Dunes Golf Club in Maricopa, Arizona. Also playing are former Rebels Shintaro Ban and A.J. McInerney, and Las Vegas resident Norman Xiong. There are 10 total first-stage qualifying sites. A few other former Rebels had nice finishes at Sand Hollow. Eddie Olson finished tied for eighth and Ban, a 2018 graduate, finished 19 th in his first professional tournament. Taylor’s father, now the Shadow Creek general manager, made the cut, but had to withdraw prior to the finish. The UNLV men’s golf team finished fifth at the prestigious Olympia Fields Fighting Illini Invitational in Illinois last week. Junior Justin Kim led the way, finishing tied for 14th. Last season, Kim finished 21st at the NCAA Golf Championships. The Rebels are now ranked 15th in Golfweek and 19th in the Golfstat polls. Top-ranked Oklahoma State won the tournament. Sixth-ranked USC was second and eighth-ranked Alabama was fourth. Tiger Woods’ win at the Tour Championship was the 80th of his career. His first came at the 1996 Las Vegas Invitational. This weekend, Woods plays for the United States and captain Jim Furyk in the Ryder Cup. Furyk’s first PGA Tour victory was the 1995 Las Vegas Invitational. Resident Wyndham Clark, who works with TPC Summerlin swing coach Jeff Smith, earned his PGA Tour status for 2018-19 and is slotted 35th out of the 50 Web.com Tour players who earned exemptions through either the season-long money list or the Web.com Tour Finals, which concluded Sunday. Club at Sunrise primetime tee times include a $10 food voucher. Milan Norton, 9, from Las Vegas qualified for the Drive, Chip and Putt that takes place at Augusta National just prior to the 2019 Masters. Oct. 7: Major Series of Putting qualifier final, Red Rock. Where: Saint-Quentin-en-Yvelines, France; Le Golf National (7,183 yards, par 71). When: 11 p.m. Thursday to 10 a.m. Friday (Golf Channel); 11. p.m. Friday to midnight (Golf Channel), midnight Saturday to 10 a.m. (KSNV-3); Sunday, 3-10 a.m. (KNSV-3). Last time: Every American contributed at least one point for the first time since 1975 in a 17-11 victory at Hazeltine. Where: Pebble Beach, California, GL (6,837 yards; par 72); Poppy Hills GC (6,879 yards; par 71). Television: Friday-Sunday, 2-5 p.m. (Golf Channel). Purse: $2.1 million. Winner’s share: $315,000.